The Optical Filter Holder Mounting Fixture is used to ensure proper alignment when installing custom bandpass filters in the Custom Optical Filter Holder. Purchase additional Optical Filter Holders and reuse the Holder Mounting Fixture as needed. 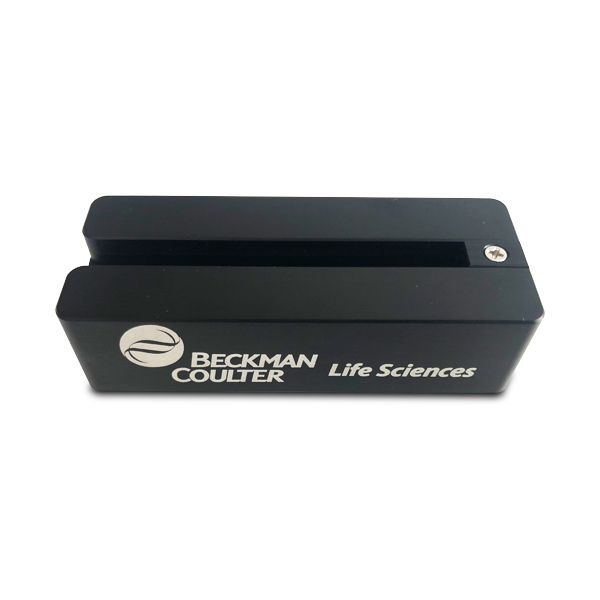 The Optical Filter Holder can be used to prepare custom bandpass filters for the CytoFLEX platform. The mounting procedure can be found in the CytoFLEX Instructions for Use (IFU).